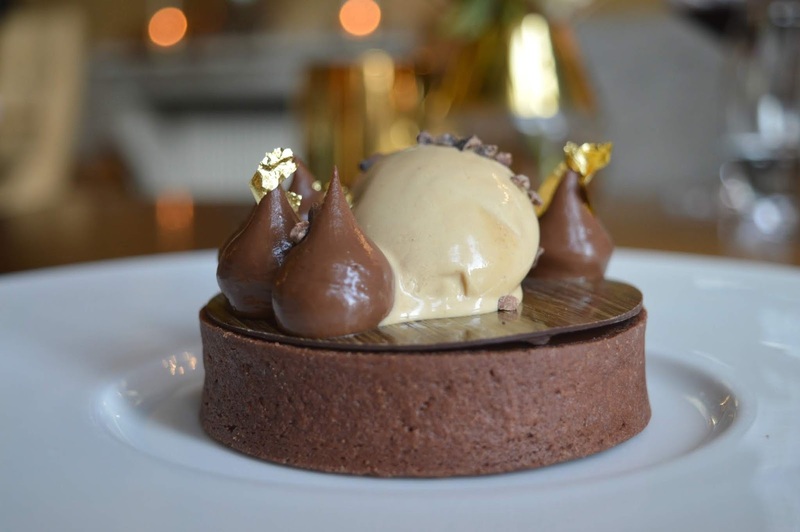 Over the last year we have become completely obsessed with Wynyard Hall - anniversary celebrations, spa days and the best afternoon tea in the North East, if ever there's something special to celebrate we'll inevitably find ourselves at Wynyard Hall for a romantic break. For our first visit of 2019 we decided to indulge in a lunch date - the perfect opportunity to try some of the dishes created by their new Executive Head Chef! 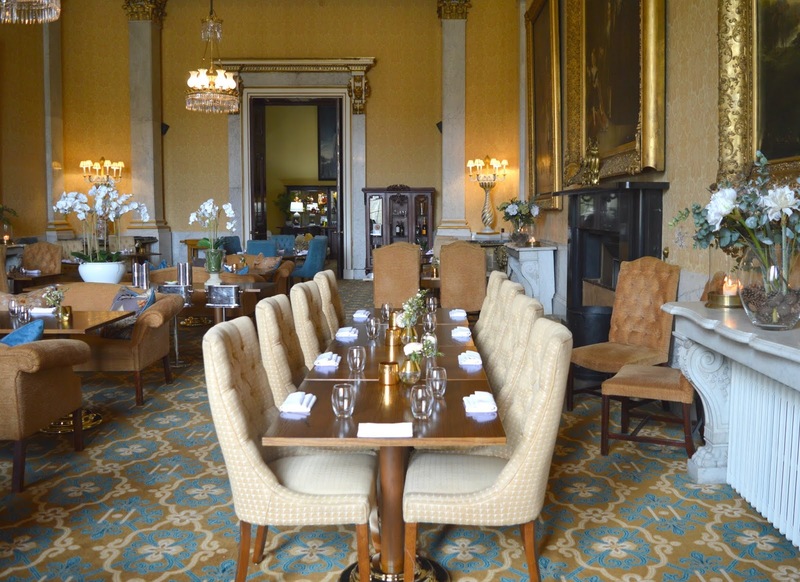 It was our first time enjoying lunch at Wynyard Hall and I have to say I really enjoy the hotel's Wellington Restaurant during the day. It is the most beautiful room and whilst I love how romantic it is in the evening, its features are even more stunning in daylight. I highly recommend a table by the window where you can really sit back and take in the gorgeous features of the entire room. We kicked off our lunch date with a glass of wine, the perfect accompaniment to a long leisurely lunch, especially if you've been sensible enough to book yourself a room for the night. My best menu decisions are always made with a glass of wine in hand and that will perhaps explain why we decided to go for the full three course lunch menu (£30.00). If you don't fancy quite that much food there's also the option of ordering two courses for £25.00, but once you've seen the menu believe me you'll be wanting the three! 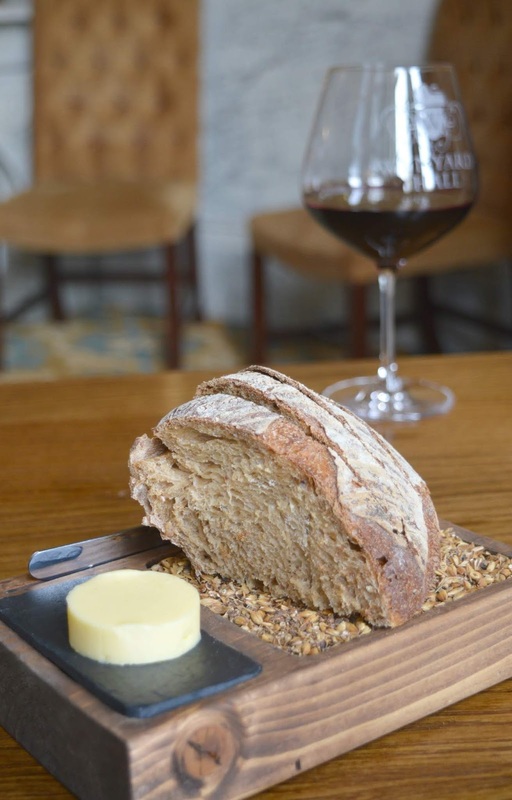 There is, perhaps, little you can write about a bread basket, although I think the bread at Wynyard Hall really is something to dedicate an entire paragraph to. Beautifully presented it turned up on a little board which looked stunning (although did cause us to make quite a lot of mess across our table). The chunk of bread was cut into four and I just couldn't get over how perfect it was - served fresh out of the oven with a good crust and a lovely squishy centre. We slathered on plenty of butter, so much so I had to reassure my husband that, no he didn't have butter in his beard! Starters arrived and Simon opted for Cured Cod served with Blood Orange, Green Chilli and Coriander. I never got to try any - I was too slow with my fork and far too distracted by my own dish to really pay much attention to what he was doing. I'm kicking myself now of course - he polished the lot off so I'm thinking it must have been good. I went for Warm Potato Terrine with Crispy Black Pudding, Apple and Goats Cheese. The combination of textures and flavours really made the dish - it was deliciously creamy with sudden salty hits from the Black Pudding and a sudden blast of sweetness from the red apple. It's so hard to balance such extreme flavours but Wynyard Hall have truly mastered it with this dish. 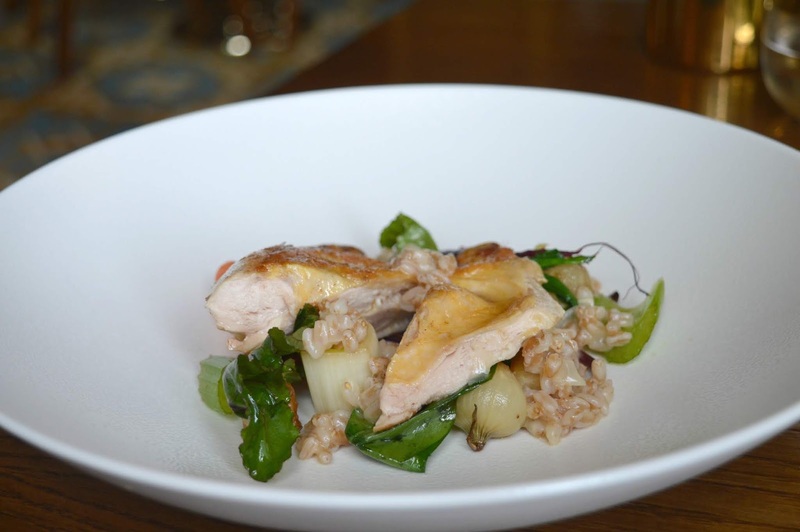 I've still not forgiven Simon for picking the dish that I wanted as my main - Roast Guinea Fowl with Pear Spelt, Spring Vegetables and Tarragon. I can never bring myself to order the same as him as I like to have two different dishes to try and I was literally glaring at him when his Guinea Fowl turned up because it looked so good. I managed to get two bites off him and it tasted just as good as it looked. Next time I'm ordering first! 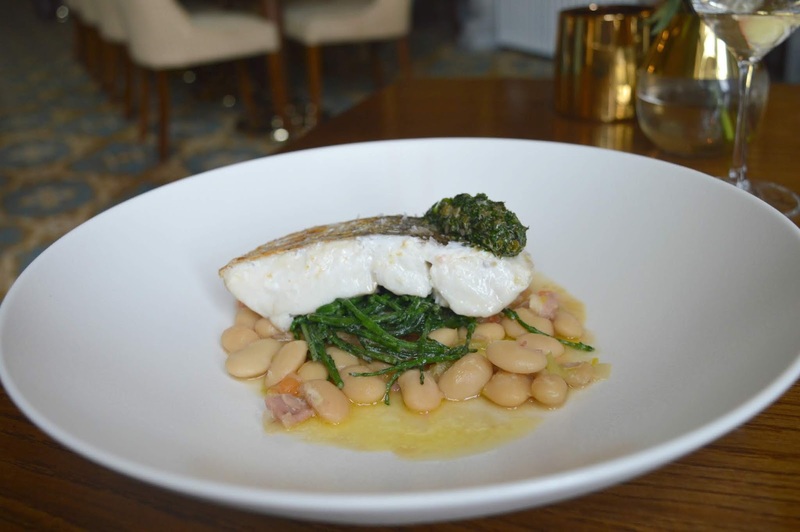 My Roast Hake came served with Butter Beans, Bacon and Samphire and luckily soon made me forget about how much I wanted Simon's food. The Hake was delicious - really flakey and the Samphire was a lovely addition to compliment the fish - Hake is a pretty mild flavoured fish and it'd be all too easy to overpower it with too much else happening in the dish so I was really impressed at how perfectly everything on my plate was balanced. Simon's dessert came with a running commentary as he dipped the fork in - his Salted Caramel and Dark Chocolate Tart with Malt Ice Cream was met with a lot of "oh wow" comments and I was offered some Malt Ice Cream (delicious) before he suddenly hit the delicious looking Caramel centre and I lost him for the rest of the course. Simon is an absolute salted caramel addict and this very much got his official stamp of approval. 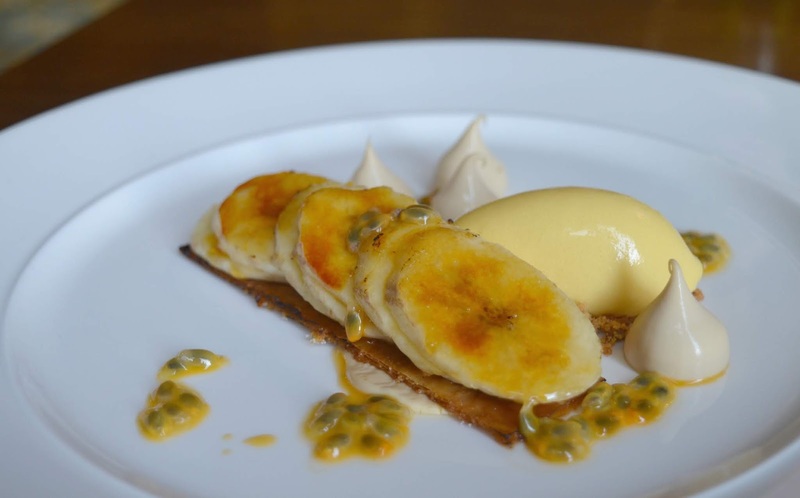 I opted for Caramelised Banana Gallette with Passion Fruit and Almond. It was one of the loveliest desserts I have ever had, not only beautifully presented but it also tasted incredible. I was desperately trying to get every last bit off my plate because I didn't want it to ever end. 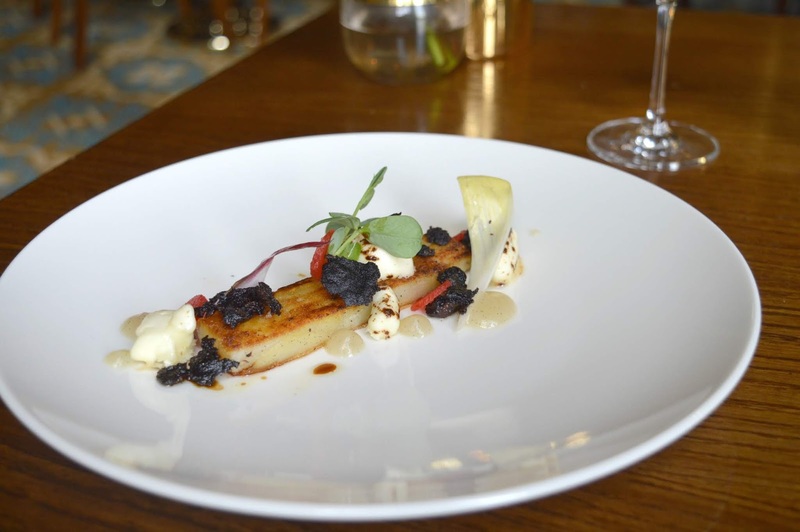 We have always been fans of the food at Wynyard Hall, we are yet to be disappointed and the lunch menu was superb. It's been over a week since we had our meal and we are still obsessively discussing how perfect it was and how lovely it was to have such an indulgent Saturday afternoon. One of my favourite things about lunching at Wynyard Hall is that after your meal there are some really beautiful grounds to explore if you fancy some fresh air and a gentle stroll. They have one of the North East's finest collection of daffodils so we love to visit at around this time of year to see them and I'm always amazed by how many there are. Complete carpets of beautiful yellow, if you have never seen them before you really must go and visit and it's a great way to end your lunch. A full three course lunch (with a couple of glasses of wine) tends to lead to me wanting a quick 5 minute snooze so we were very thankful that we'd had the foresight to arrange ourselves a room for the night. I don't think we're yet to visit Wynyard Hall without staying over. We love it so much I don't think we could ever bring ourselves to just drive straight home again. This was our third overnight stay at the hotel and the chance to try a different suite, and I think this was actually our favourite of the lot. 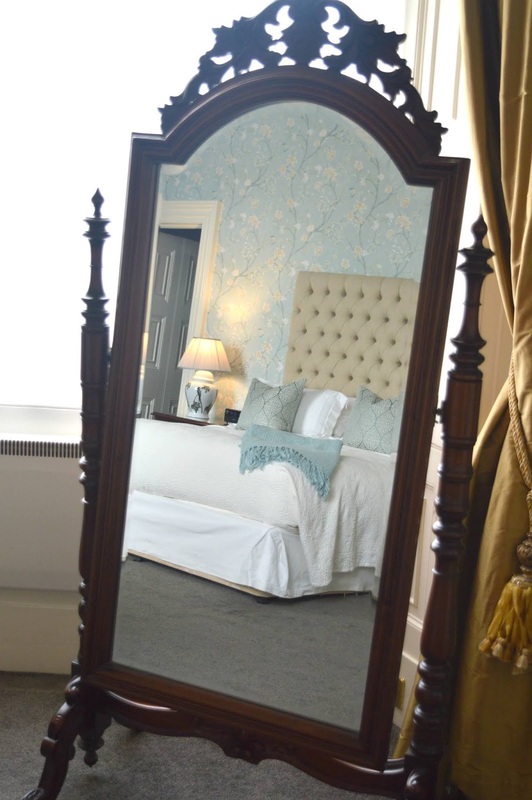 The Disraeli Suite was the perfect country escape with a mix of white furniture with dark antique pieces and a stunning floral wallpaper which made me wish I was brave enough to wallpaper our own house. 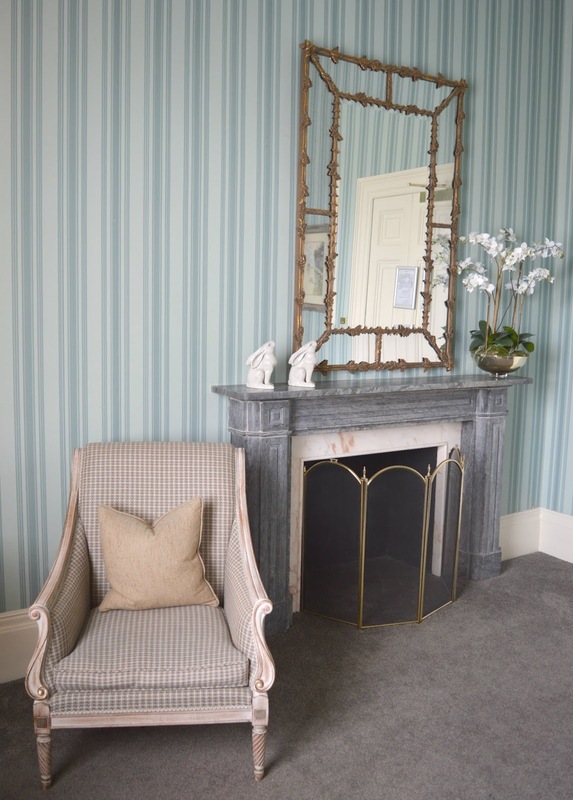 The bed was simply furnished in white bedding and the gorgeous dark marble and tiled fireplace really added an extra something to the room. The Disraeli Suite was the largest of the three rooms we've stayed in so far and the main bedroom was the real focal point with a cute little lounge area just off the main room and a bathroom complete with his and hers sinks. Having eaten so much we ended up spending our entire evening up in the hotel room and despite our best intentions didn't make it down to the bar. It's a bit of a shame because during our last visit we spent the most wonderful evening sitting at the bar chatting away to other guests whilst enjoying a few G&Ts. I can't believe we didn't make it downstairs! 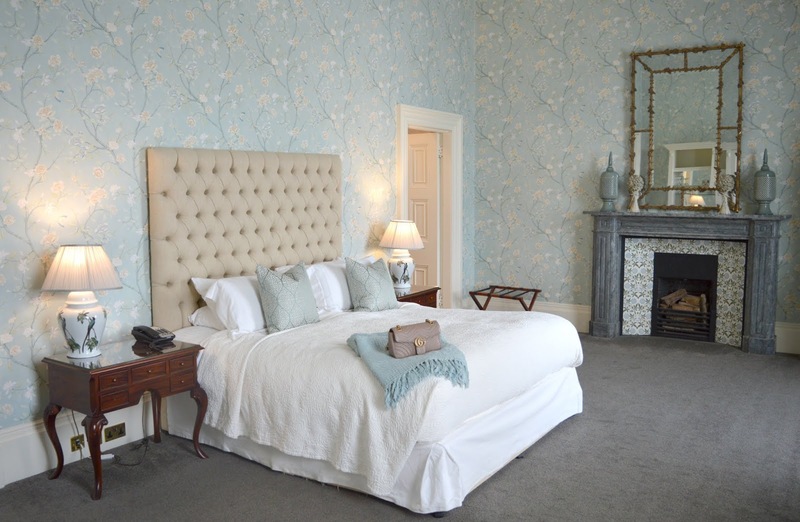 You may be thinking that staying in a hotel suite is a bit extravagant but the thing I love most about the rooms at Wynyard Hall is how incredibly priced they are. 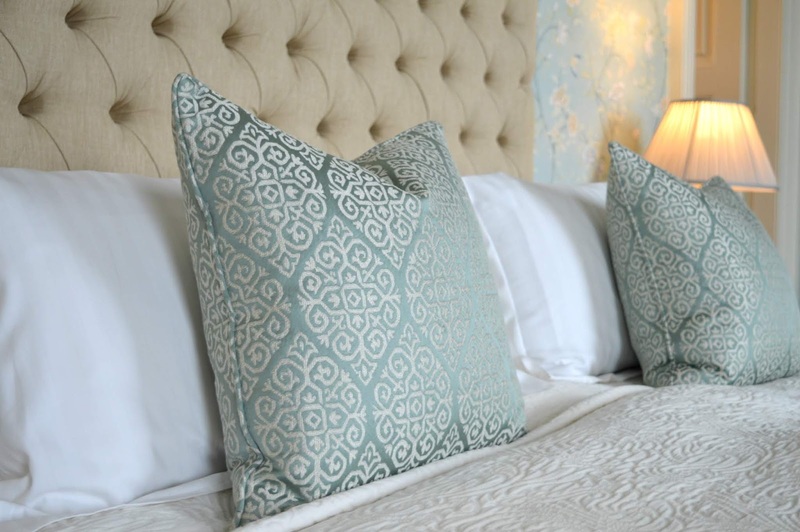 A standard "Country Classic" bedroom will set you back £205.00 and a Suite only costs an extra £80.00 which is amazing value. The price includes wonderful facilities including a King Sized Bed, a Flat-screen TV with DVD player, luxury dressing robes and a full breakfast the following morning. We had a restful night's sleep, a delicious breakfast the following morning and we're already plotting our return visit because we just can't help ourselves. Each time we leave we feel so sad until we've got another plan in the diary. 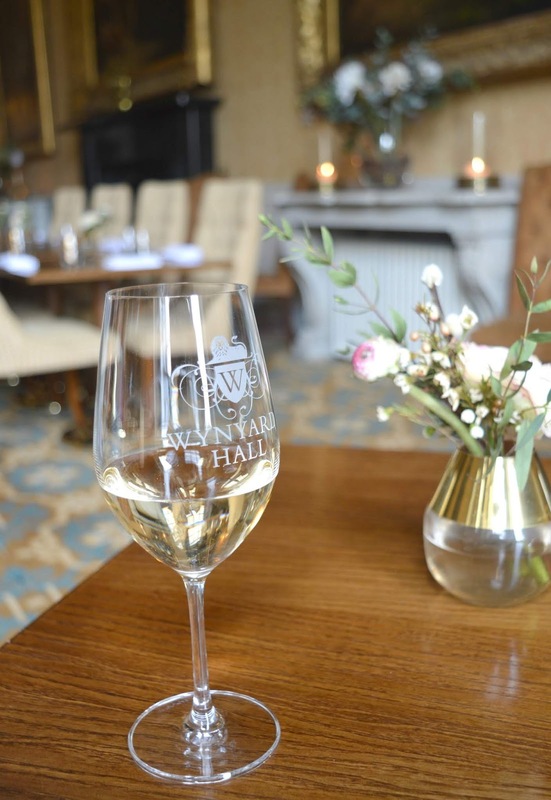 Each time we stay at Wynyard Hall it has been perfect, from the welcoming arrival, to the delicious food and relaxing atmosphere, I'm just so happy that we've found such a beautiful hotel that feels so special and luxurious without being pretentious. I will never stop telling everyone I meet how incredible this place is and how lucky we are to have it in the North East. If you are wanting to treat someone to a truly romantic break this year I can't recommend Wynyard Hall enough, if you've never been you really have to go! 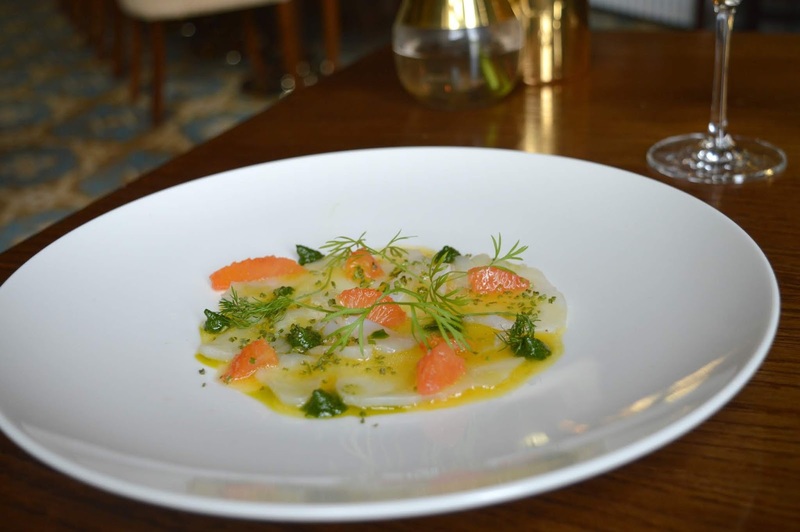 We received a complimentary lunch for two and overnight stay at Wynyard Hall in return for this honest review. 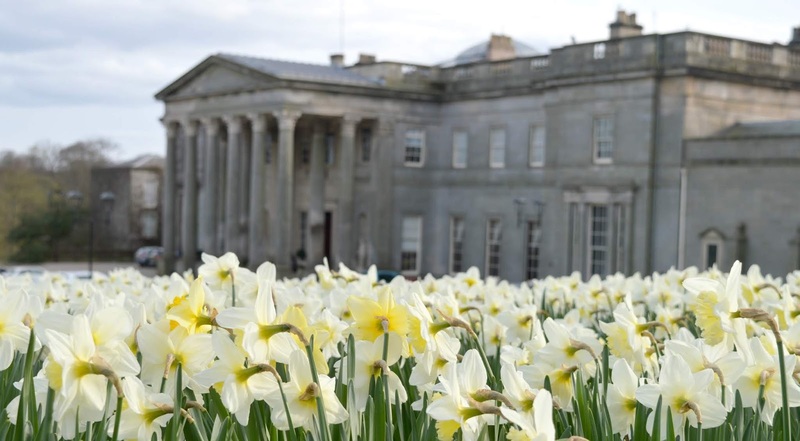 Wynyard Hall is absolutely beautiful - we love it so much! Oh wow yes, perfect spot for a minimoon! We celebrated our wedding anniversary there last year and it was amazing - we felt so special! I've just inquired about going here for Dan's 30th later on in the year. It's only 20 mins from our parents so we won't feel as guilty dumping the baby on them! Hopefully they have the availability though, because this place looks amazing!! I'm surprised we haven't been yet tbh. Ahhh I am so so glad! We celebrated our wedding anniversary there last year and we had a look at so many different hotels in the area and Wynyard was by far the best. We phoned them up to tell them everything that we wanted to do and they did us a really good price - we ended up staying two nights and had spa, treatments and an afternoon tea - we didn't want to leave!